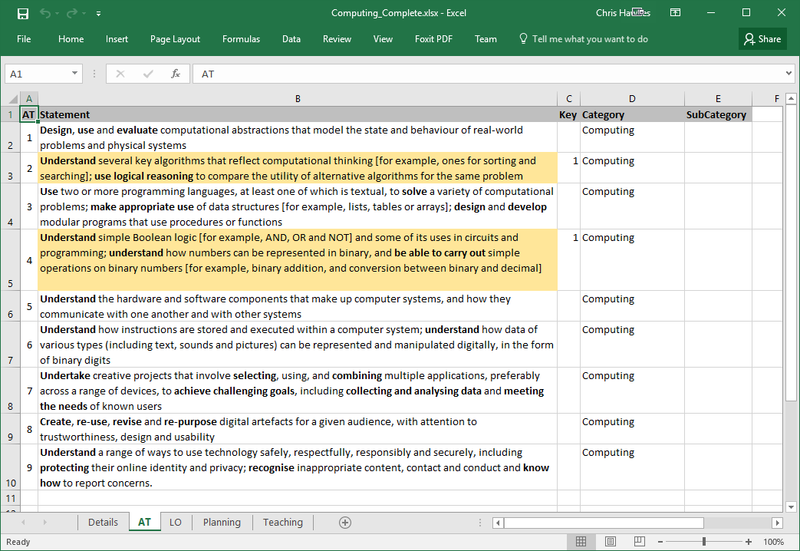 This Excel spreadsheet has been completed to show an example analysis of the Computing Subject Content. Download the example by clicking on the image to the right. This is an example only. Please edit this to reflect your own professional analysis of the learning elements of this subject. 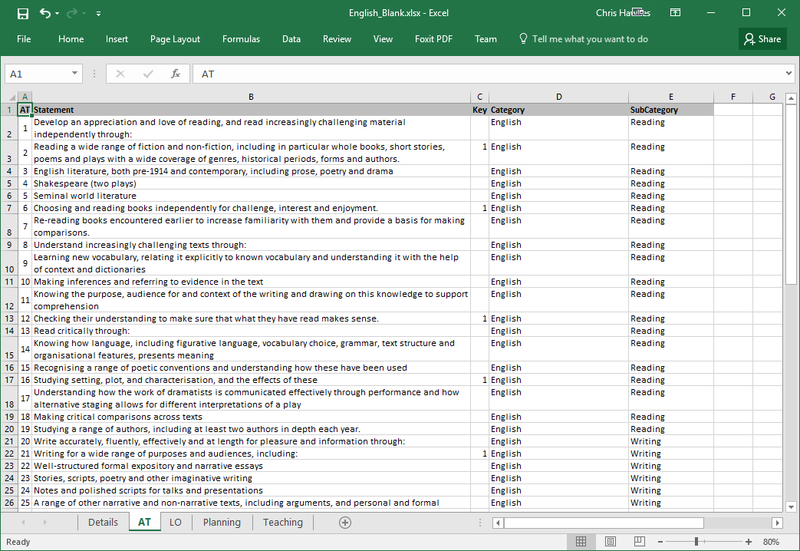 These Excel templates include tabs for Subject Outcomes, Planning, Teaching and Learning, per subject. 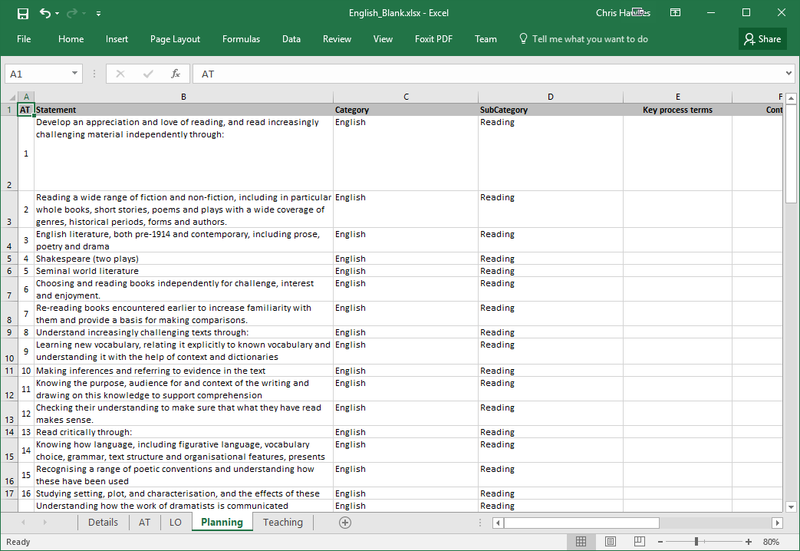 Each template contains the new National Curriculum Subject Content for that subject in the Attainment (AT) and Planning tabs. You can use the completed example for Computing (above) for reference when completing the template for your subject. Please click a subject to download its template. Alternatively, you can download all subjects as a .zip file by clicking All Subjects at the bottom of the list.